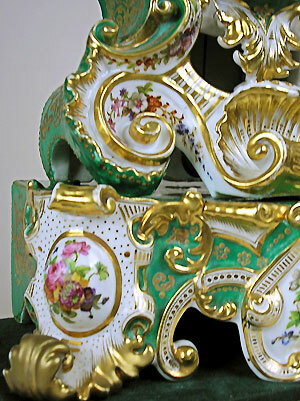 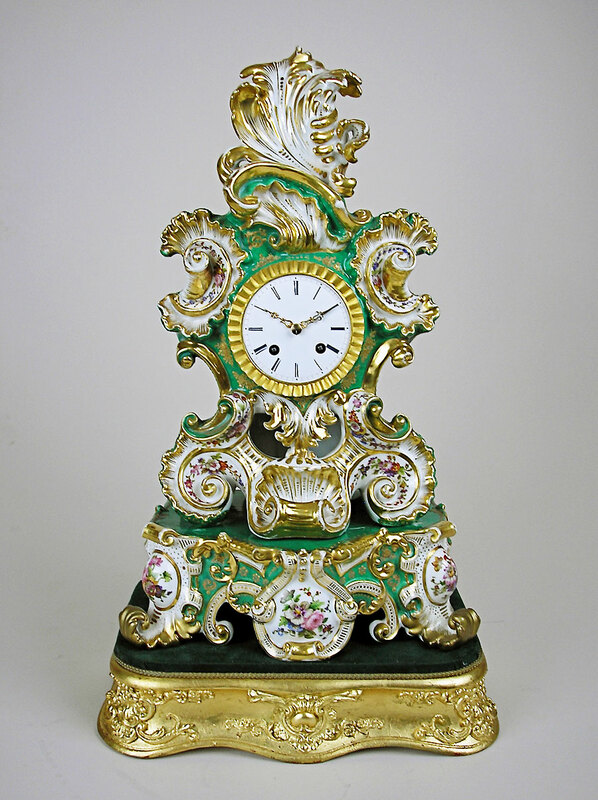 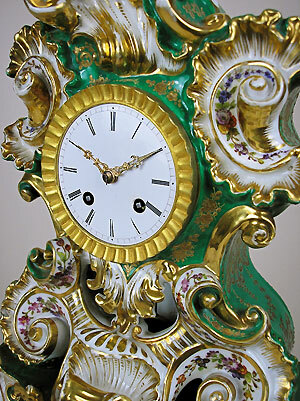 This is a French porcelain clock with a case by Jacob Petit (blue JP stamp) of France. 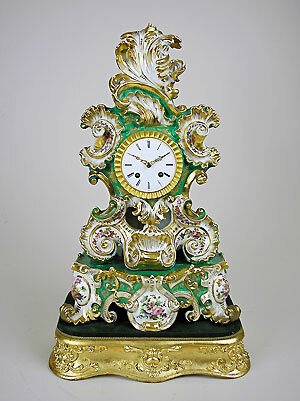 The eight-day movement by A. Dupond of Paris comes with silk suspension and a countwheel strike on the bell. 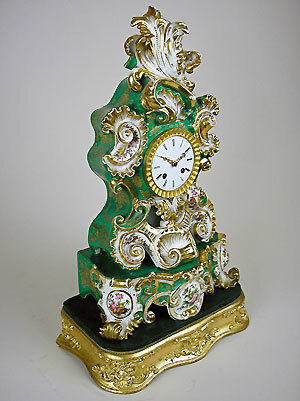 The white enamel dial has gilt brass hands and the clock stands on a porcelain pedestal raised on a giltwood and gesso stand.